The Nokia Lumia 800 smartphone is now available to buy in the United States, albeit as an expensive bundle packed with accessories. The unlocked Windows Phone device is available to buy from brick-and-mortar Microsoft Store locations. 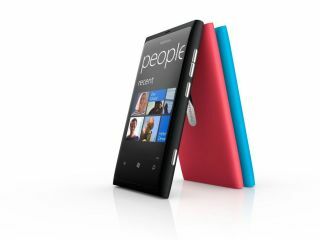 For a hefty $899, buyers will get a Lumia 800, along with a Nokia Play 360 wireless speaker, an in-ear Bluetooth headset and a Purity HD Stereo headset. The bundle represents the only means of obtaining Nokia's first Windows Phone release, critically acclaimed upon its European release, in the United States. The Lumia 800 bundle has been optimised for the AT&T network, but there are no plans currently afoot for an official network tie-in. If you're dead-set on getting your hands on a subsidised Nokia Lumia handset, then the Lumia 900 with 4G LTE functionality will be launching exclusively on AT&T this spring.